After we dropped our daughter, Sydney, off at the airport we spent some time taking photos of the cool architecture of the Portland International Airport. Click to enlarge. 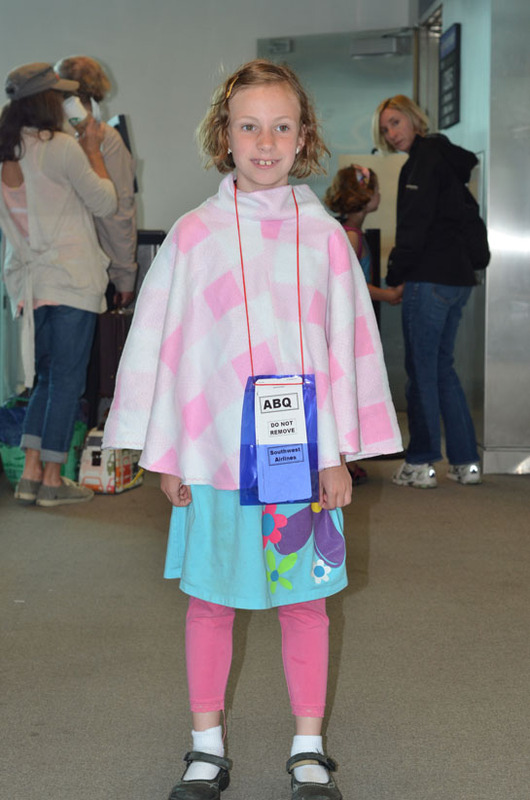 Yesterday we took our 7-year old daughter, Sydney, to the Portland International Airport to catch a flight to New Mexico. She is not new to flying as the 3 of us travel often. But this time, she was flying solo. She will be spending 2 weeks in New Mexico visiting grandparents. Since we will be traveling internationally for 2 years starting in the fall we thought it would be a good idea for her to visit all of the grandparents before we head off. 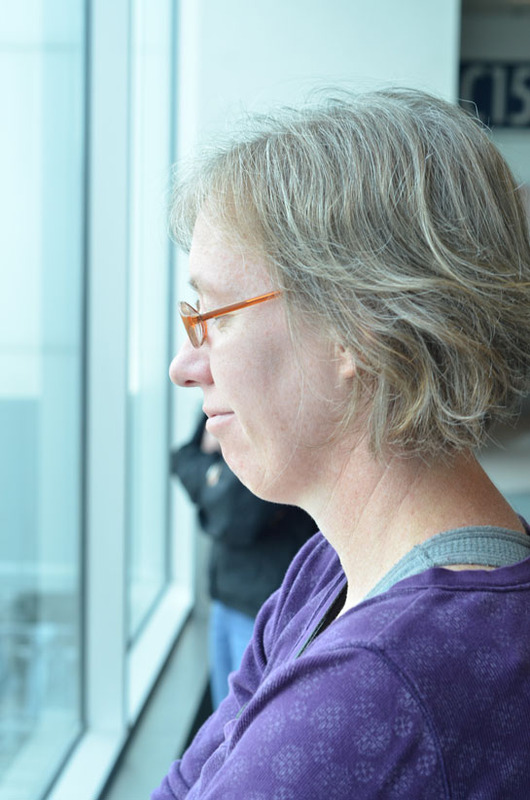 We arrived at the airport with 1 ½ hours until her departure, which should have given us plenty of time. After 30 minutes waiting in line at the ticket counter and then another 30 minutes getting through security, we finally made it to the gate with 25 minutes to spare, but they wanted to board Sydney immediately. So after a quick goodbye she and another girl flying solo were led down the ramp and onto the plane. They had asked us to not leave the airport until the plane was in the air, so we found a seat and waited. The airline representative that had led the girls down the ramp approached us and said that he sat the two girls next to each other on the plane and they seemed to be getting along really well. The other passengers were loaded onto the plane and looking out the window at the plane below I noticed something very odd; the cockpit window was open. I had no idea that the pilot could open a window, but I guess they can. 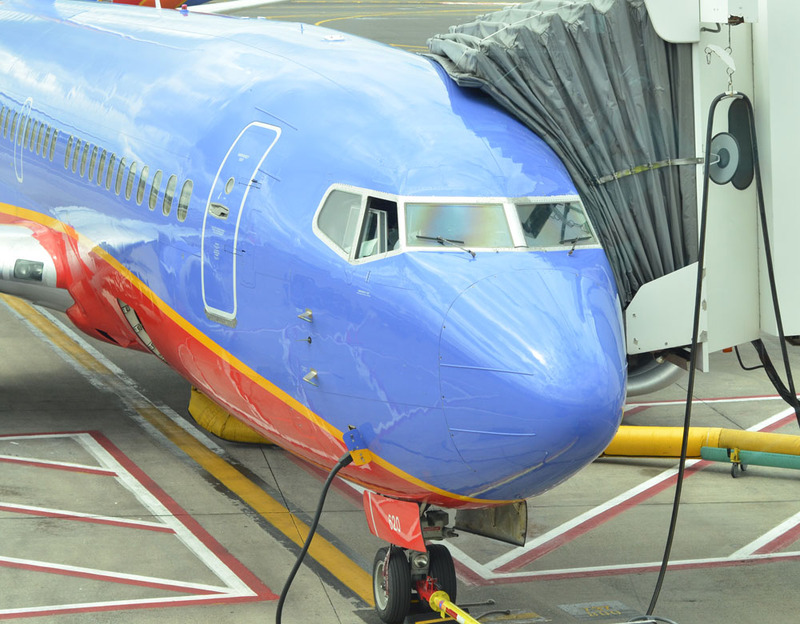 We were just hoping that the pilot would remember to close it before reaching 35,000 feet. After the plane was pushed out to the runway we went over to the window where the other parents waited. One was the mother of the girl that Sydney was sitting next to and it turned out that they were the same age. This reassured us that Sydney would have someone to talk to on the 4-hour flight. The other was the mother of a 14-year old girl and she was just as nervous about sending her daughter off solo as we were. While Sydney is in New Mexico we hope to finish our house projects and have our house on the market before July 4th. At least that is what we are hoping. The weekend after July 4th has us driving to Glacier National Park in Montana for a family get together where we will be reunited with our daughter. So, we are in a real time crunch to get everything done. After her 2 weeks in Idaho she will come back to Portland and then head off for one week of summer camp. Sydney is going to have a very busy summer, and we will really miss her. The arrival of summer in the Pacific Northwest means the possibility of sunshine, warmth, and camping! I am always excited about going camping and we try to go as much as possible during the summer. 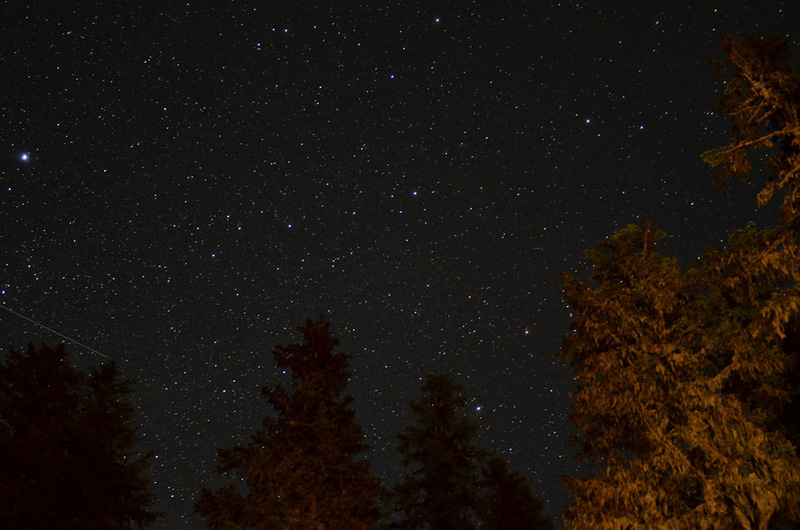 I find that camping helps relax me and I am able to unwind from the stressful work week. Camping also means that I get to do some of the activities that I really enjoy such as reading a few chapters of a good book, fishing, hiking, and kayaking. It also gives me the excuse to splurge with foods I normally do not eat; chili dogs and smore’s are always on our list of foods to take. Since I love camping I thought I might share some of my favorite camping spots in Oregon. Without a doubt, Jason and I would agree that Clear Lake is our favorite place to camp. 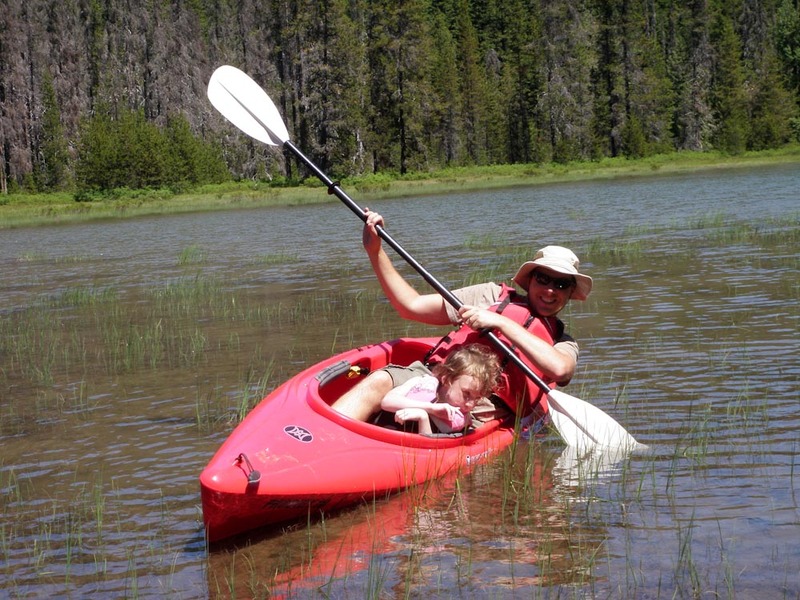 Clear lake is a man made lake located on Mount Hood just off Highway 26 about 10 miles east of Government Camp. 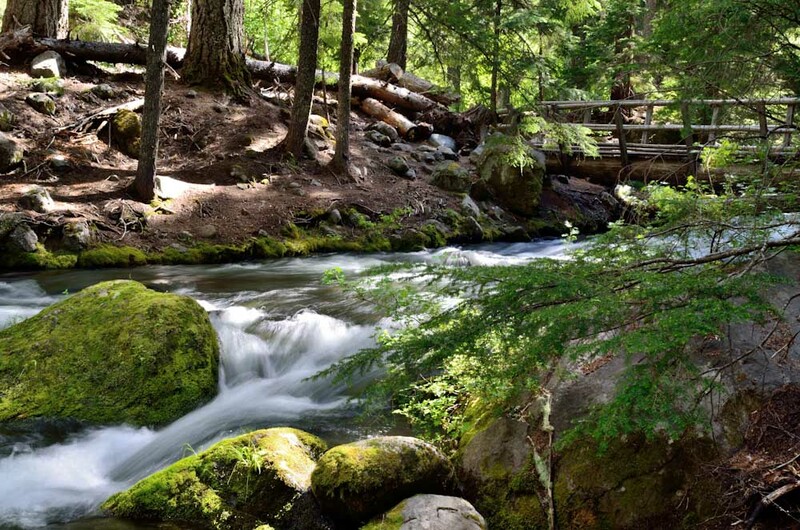 It is a relatively quick drive from Portland which makes it an easy weekend trip. What draws me to this campground is the lake and the nice camping sites. The campground is primitive and small, only has pit toilets and hand pump for water, no power or showers here, and rarely is a big RV seen in the campground due to the lack of amenities. There are only 22 sites in the campground and all are large with space for multiple tents and room to spread out, which is hard to find at most other Oregon campgrounds. Several of the sites are right on the lake giving easy access to fishing and boating. My favorite site is campsite #10 as it has some big trees for shade and it is right on the lake. Motor boats are allowed, but there is a speed limit of 10 mile per hour which helps keep the noise and wake down. 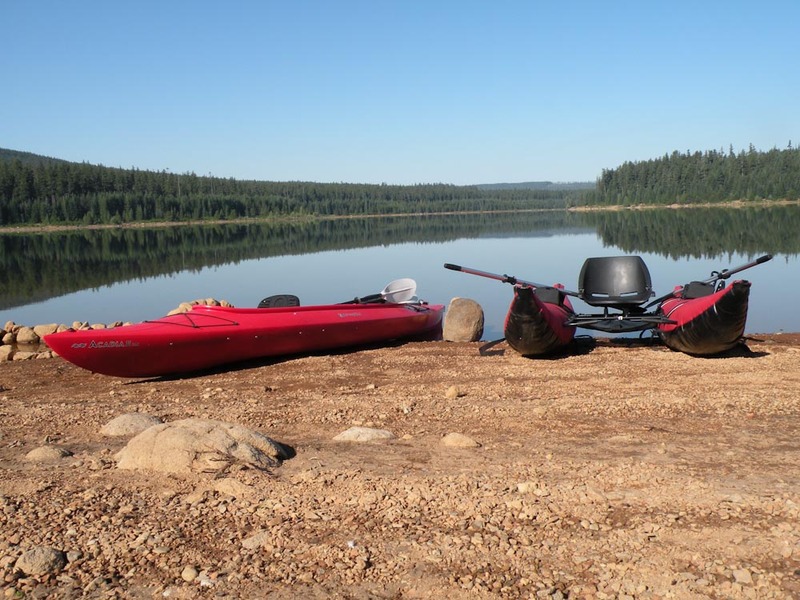 Clear lake is perfect for kayaks, canoes, and small sailing boats due to the lack of larger powerboats. 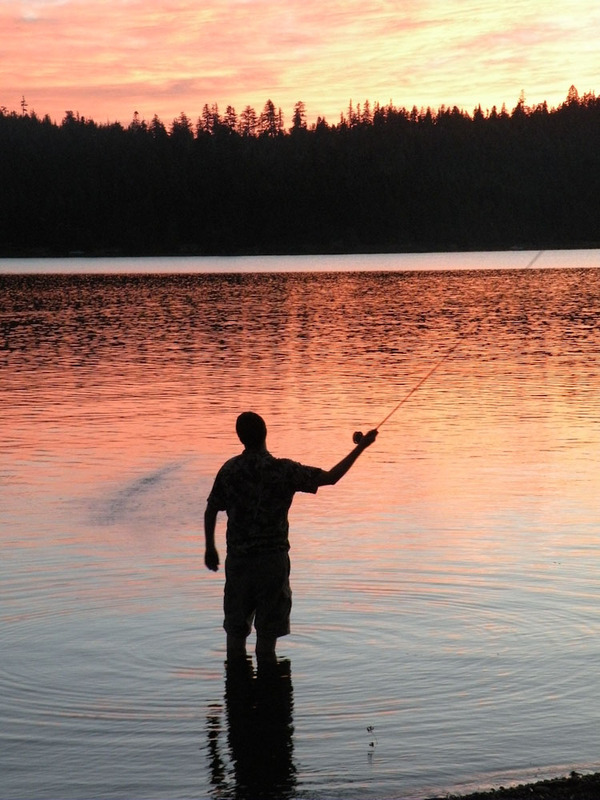 The lake is stocked each year with trout and has good fishing especially early in the year. We have found that the fish love Power Bait. One weekend, we pulled out 22 trout. Fortunately for us, our neighbors agreed to take several of trout off our hands. If you get bored hanging out in the campground, fishing and kayaking, there are several great hikes nearby. If you are looking for a place to relax and unwind Clear Lake is the place to stay. 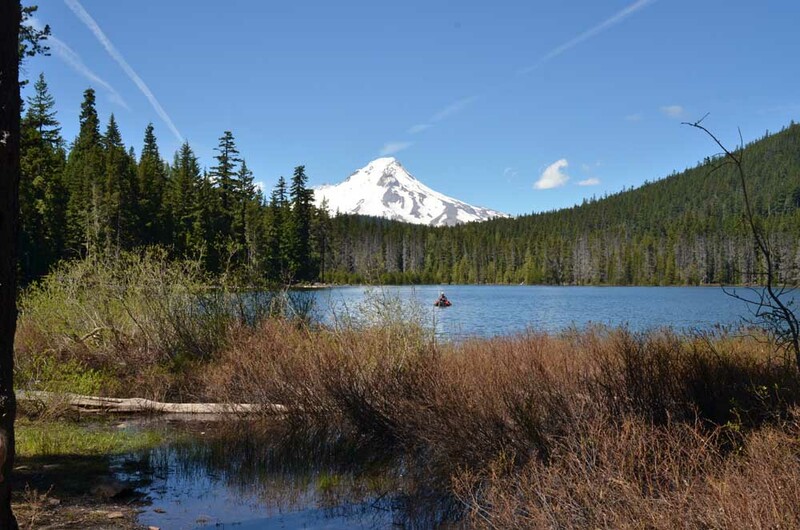 Frog Lake is also located on Mount Hood just off of highway 26. It is a quick drive from Portland and so makes it an easy weekend trip. Frog Lake unlike Clear Lake is a natural lake. Though the lake itself is small and not the best for boats(no motor boats are allowed), it is great for swimming and wading in the water. The campground is primitive and small with 23 sites. There are pit toilets and hand pump for water. There is no power or shower here either. Like Clear Lake, the sites are large and several sit right on the lake. 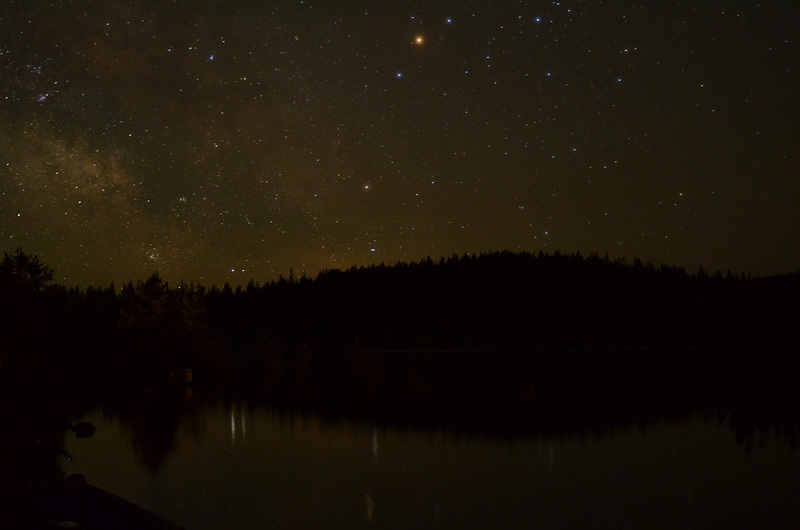 I never understood why it was called Frog Lake until several years ago we happened to go camping just at the right time and from a distance the shallow water looked black. 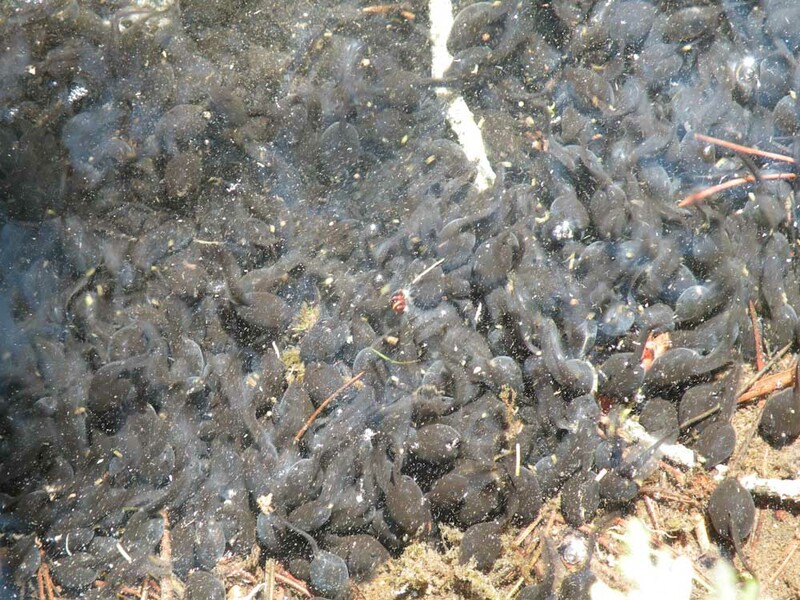 Stepping closer, we realized that there were literally thousands of tadpoles in the water. We came back later that year and could hear the frogs ribbiting everywhere. Sydney had a blast catching the frogs. She named one of them Jumpy, but unfortunately for her, we made her release jumpy back into the wild before heading home. Frog Lake also has a phenomenal view of Mount Hood and if the water is calm a mirror image of Mount Hood will reflect back. 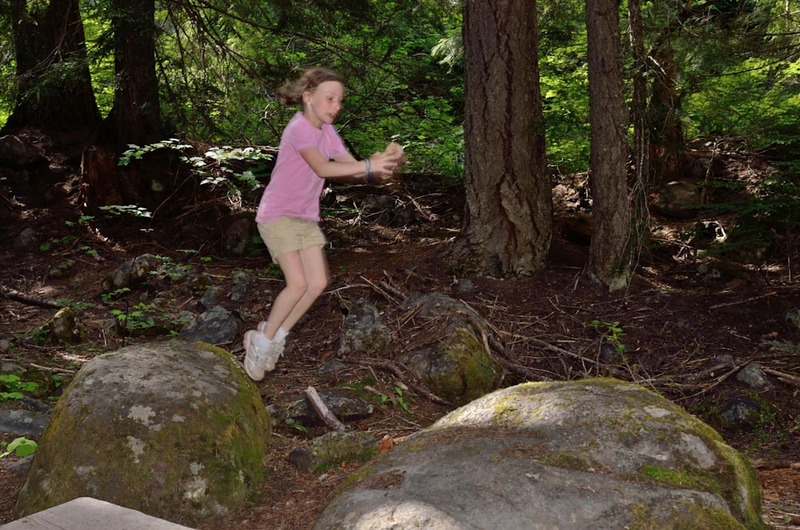 If you get bored hanging out in the campground and swimming, you can hike part of the Pacific Crest trail or other hikes nearby. Warning, the reason I like this campground is not about the campground, but the location. 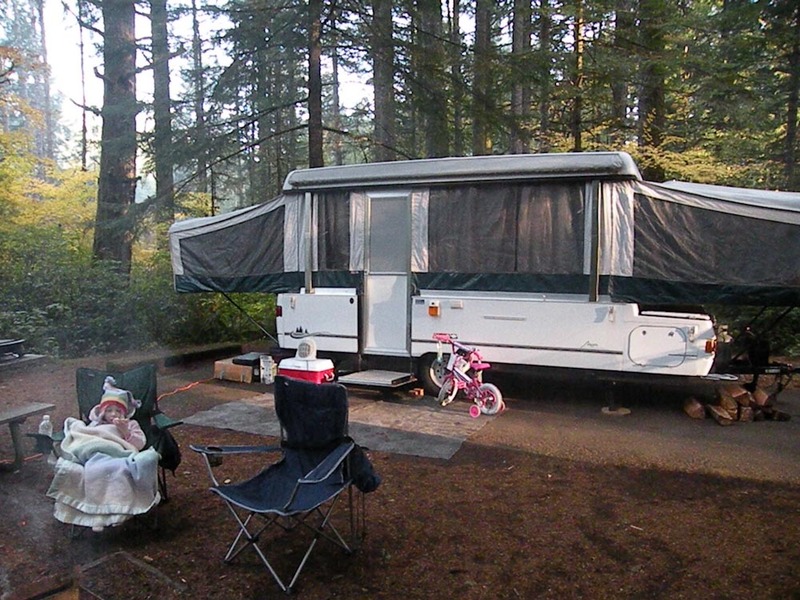 Webb Park campground is located directly in Pacific City on the Oregon Coast. 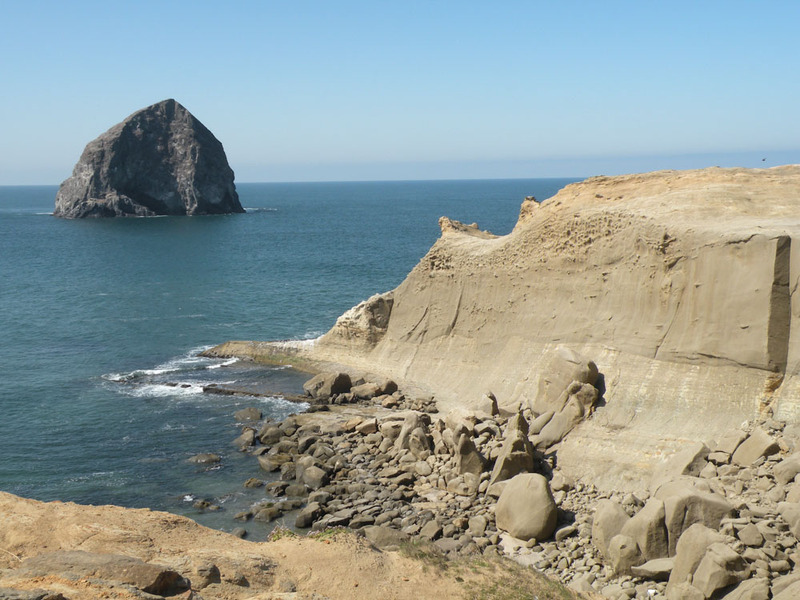 Pacific City is approximately a 2 hour drive from Portland. The camping sites are very small and open with not a lot of trees or privacy. The campsites are on top of each other and you will have very little room to pitch a tent. 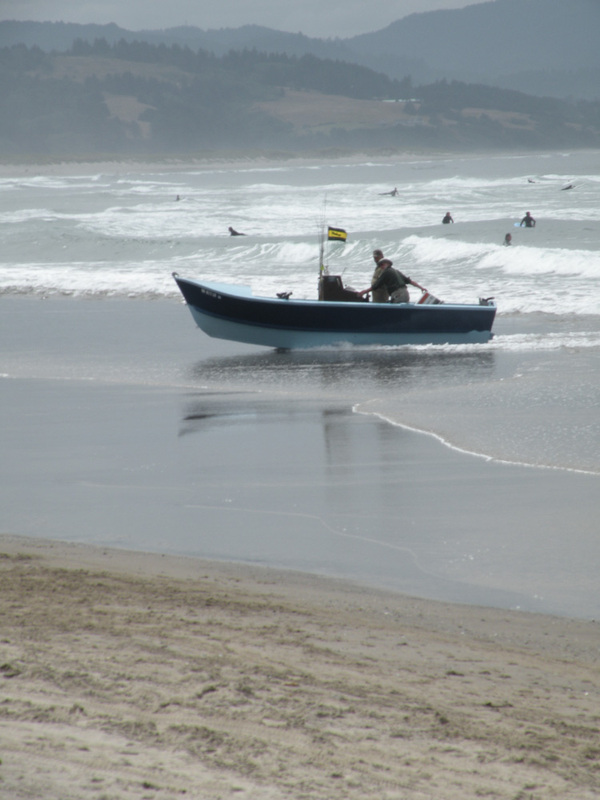 Pacific city is known as the Dory boat capital of the world. In saying that, expect to be woken up early, like 5 am, by Dory boats being started up to get ready to beach launch with the tide for a day of fishing. There are showers, but be prepared to pay. Like I said it is not about the campground but the location. The campground is right across the street from the ocean, Cape Kiwanda, and some of the best surfing along the Oregon coast. 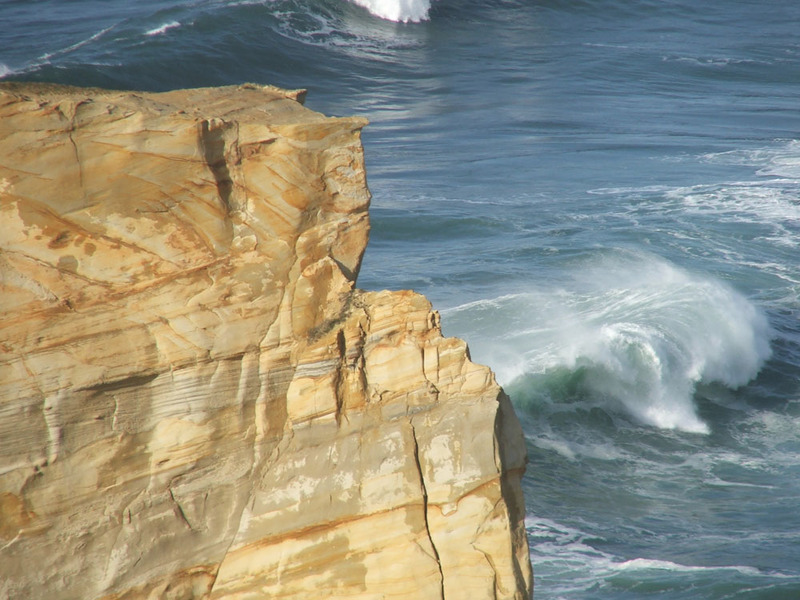 Cape Kiwanda is a sandstone peninsula that juts into the Pacific Ocean. 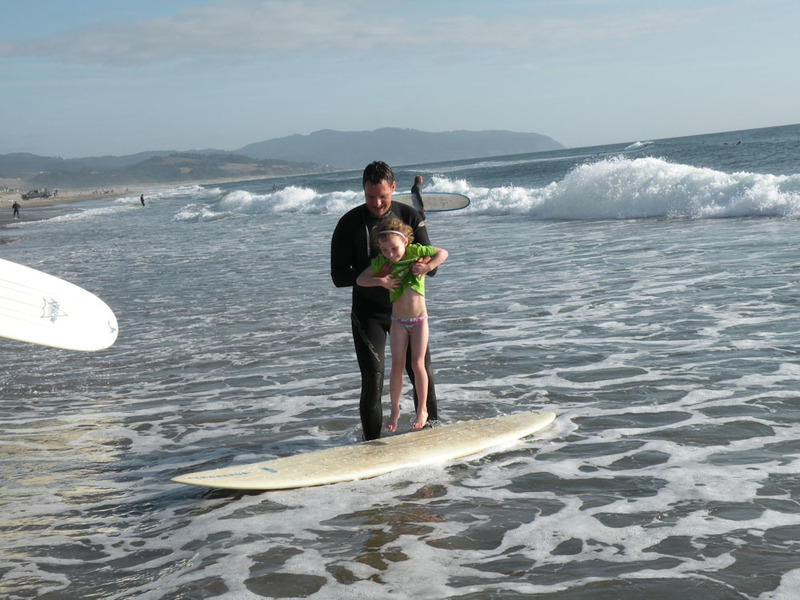 If you are daring enough you can venture out on the peninsula and watch some amazing wave action. Cape Kiwanda also has a steep sand dune. It is challenging to climb, guaranteed to give your heart a good work out. Each time I climb up the sand dune, I always wonder why I am doing this, but once I make it to the top I realize the pain was all worth it. The view is phenomenal and running down the dune is a rush. After a day of playing on the beach and climbing Cape Kiwanda, there is a great restaurant called the Pelican Brew Pub right on the beach. The Pelican brews its own beer and has some excellent tasting beers. My personal favorite is the MacPelican Scottish ale. Be prepared though, the beers and food is on the spendy side. 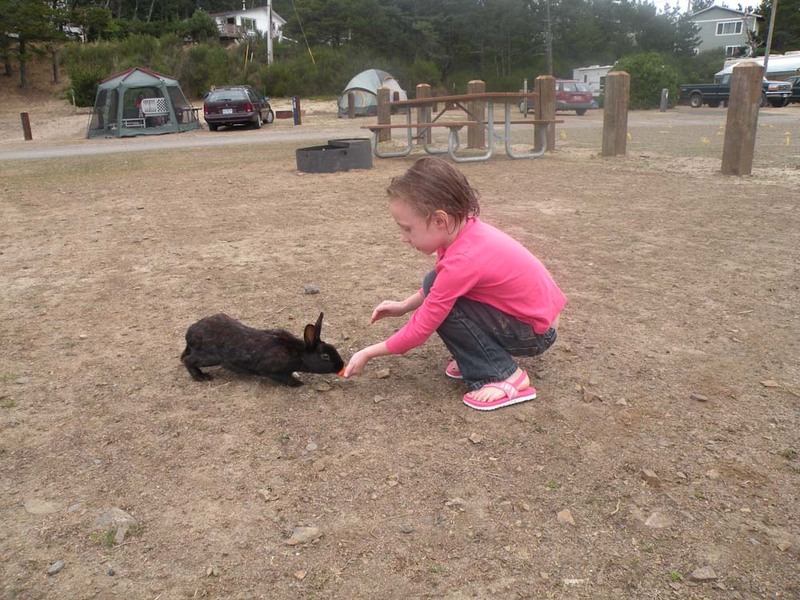 If you asked Sydney what she likes best about Web County Campground, it would be the bunnies. Someone at some point released some bunnies and they have now multiplied, well, like bunnies. There are lots of these cute little furry things. Sydney likes trying to get the bunnies to eat out of her hand. 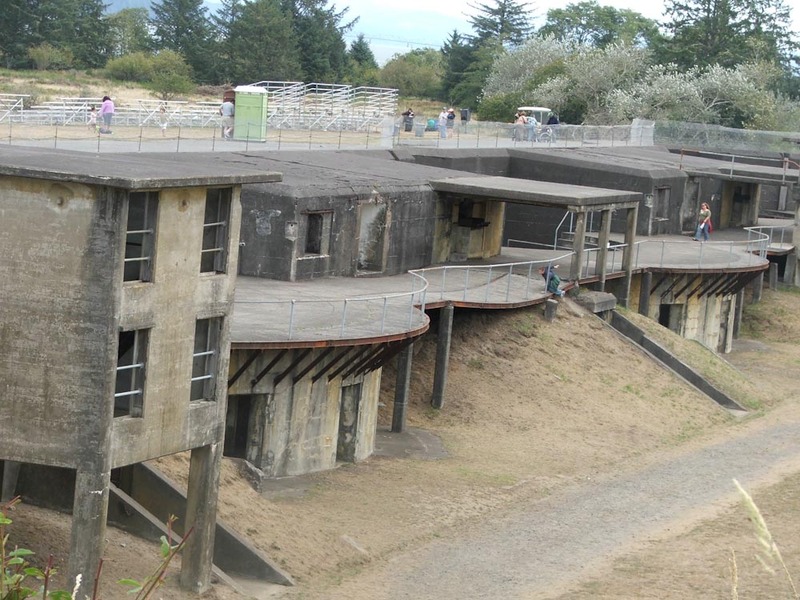 Fort Stevens is also located on the Oregon coast just outside of Astoria. It is about a 2 hour drive from Portland. Fort Stevens is a typical state campground. It is large, has power, hot showers and flushing toilets. 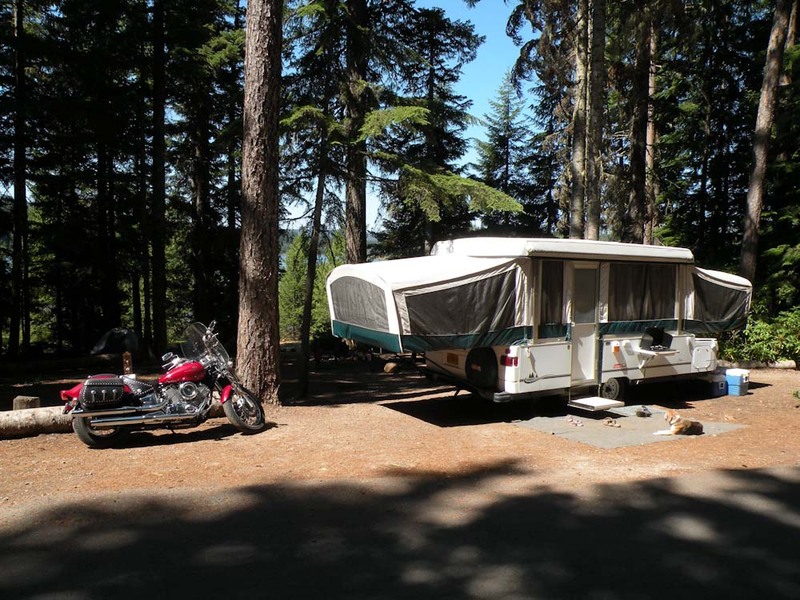 The campsites are small with not a lot of room to pitch a tent, but great for RV’s. This campground is also about the location not about the campground. Fort Stevens was originally established to protect the mouth of the Columbia River and was an active fort from the time of the Civil War to the end of WWII. The park now encompasses 4,200 acres consisting of beach access, a lake, WWII military bunkers, and many miles of biking and walking trials. 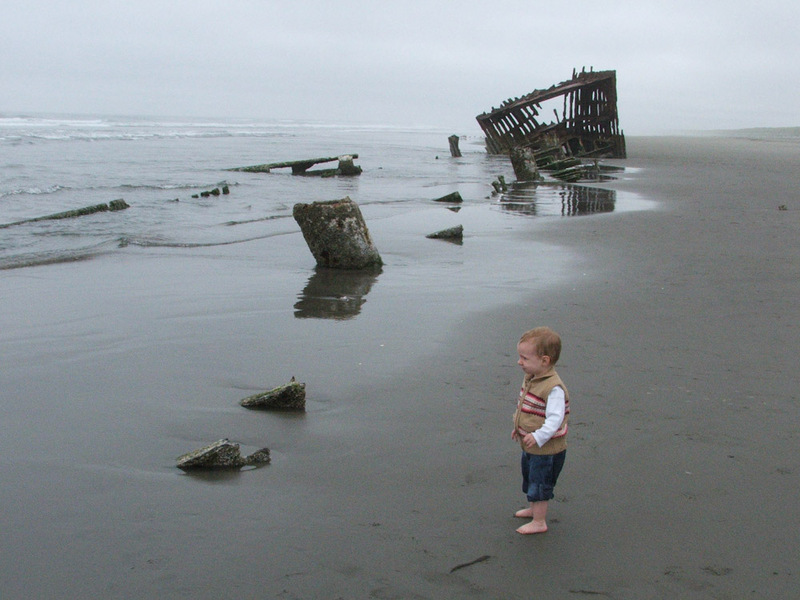 The mouth of the Columbia River is treacherous for boats to navigate, hence the name “Graveyard of the Pacific.” On the beach, there is the skeleton remains of the shipwreck, Peter Iredale, which ran aground in 1906. When the tide is out you can climb on the skeleton frame. Throughout the park are scattered military bunkers that can be explored. Playing sardines (hide and seek with a twist) at night in the bunkers is always fun. Several times during the year, civil war reenactments occur and can be fun to watch. Once you tire of military bunkers and beach, there is always the option for biking and walking along the many miles of paved paths through the forest. If you are not interested in tent camping, Fort Stevens also has the option of Yurts. But be prepared, reservations are a must and reservations for summer should be made far in advance. This is also a typical state campground. There are lots of amenities including a restaurant, power, hot showers and a play ground. There are lots of campsites, but the sites are tiny. There is not much room to pitch a tent. What draws me to this campground is the hiking. 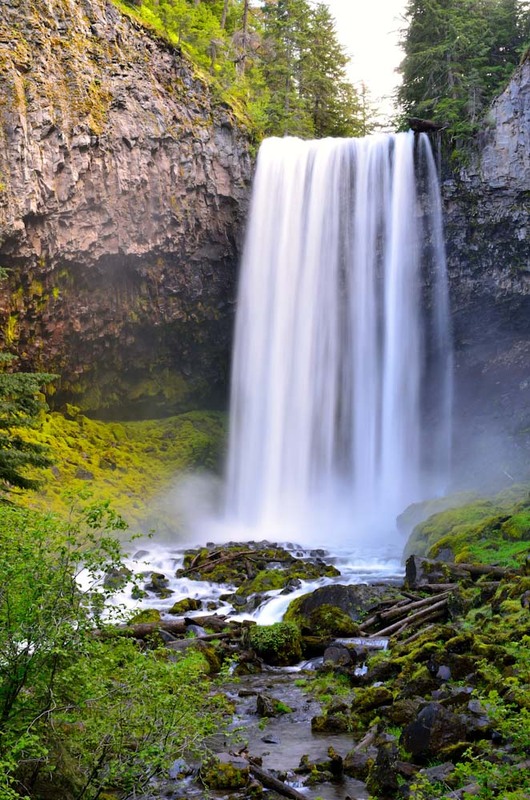 Silver falls has miles of hiking trails in which you can view a total of 10 waterfalls. Falls range from 27 feet to 177 feet. 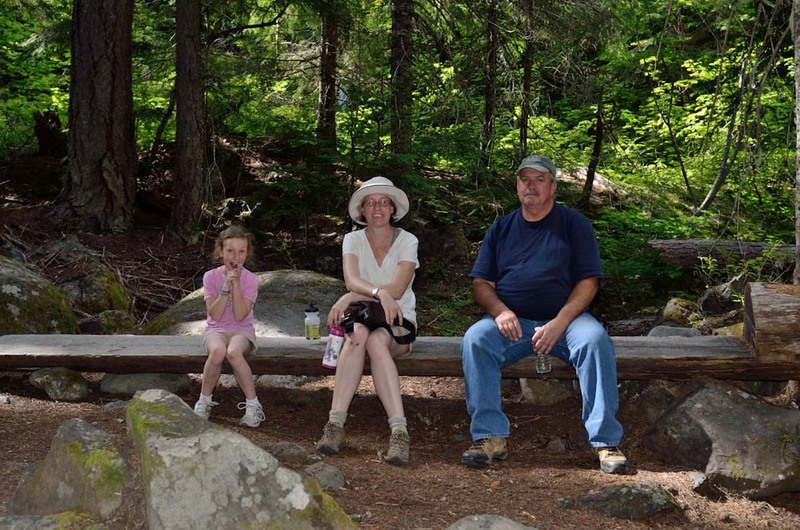 The hikes are good for all ages and fitness levels and you do not have to walk far to see a waterfalls. My favorite time to visit is during the fall with all the changing leaves. But on second thought, early spring is also well worth a trip with the increased flow of water going over the falls. 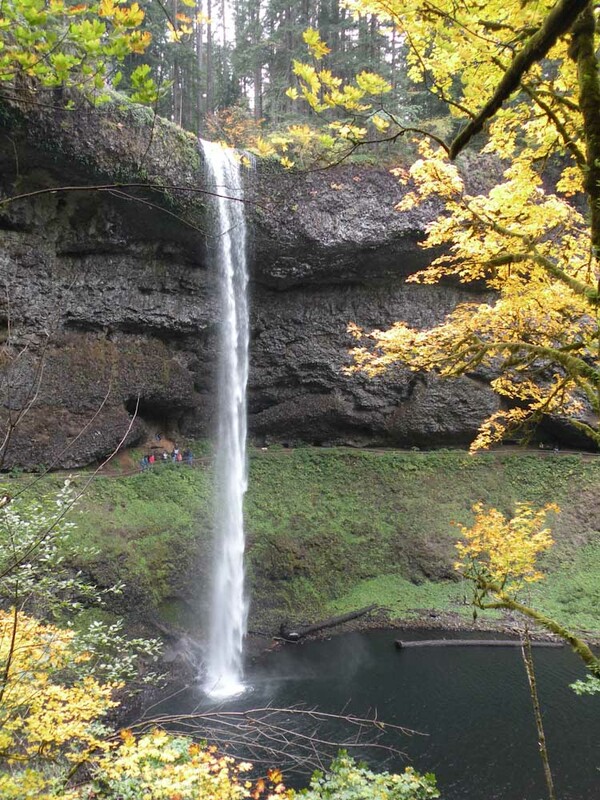 Silver falls also has several cabins, and like Fort Stevens, reservations are a must. 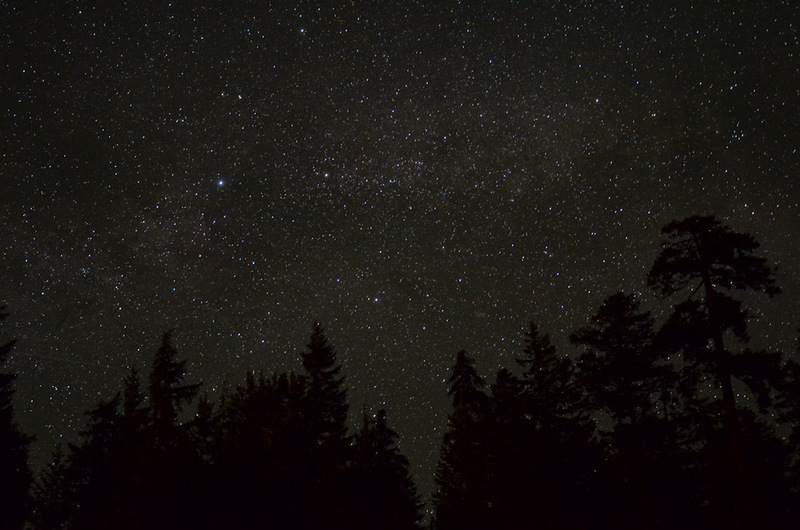 I hope you have enjoyed reading this and If anyone has any other suggestions for favorite camping spots in Oregon, please do not hesitate to post. I am always interested in exploring new camping spots. For the Father’s Day Weekend we went to Clear Lake, which is one of our favorite places to camp on Mt. Hood. After dealing with the stress of trying to get ready for 2 years of round-the-world travel, getting our house ready to sell, and trying to figure out what to keep and what to get rid of, we needed a break. With our Coleman tent trailer in tow a and roof full of kayaks we made the 1 ½ hour drive from Portland Friday evening and arrived with just enough light to setup camp without the aid of flashlights. Clear Lake is a very simple campground; no hookups, no showers, no plumbing. The bathrooms are pit toilets and the potable water is from a well with a hand pump. But the place is an excellent escape from the artificial light and fast pace of the city and we always feel refreshed after a weekend of staying there. A couple of miles down the road from Clear Lake is Frog Lake. Frog Lake is a small natural alpine lake with an amazing view of Mt. Hood and home to lots of small frogs that appear later in the summer; hence the name. 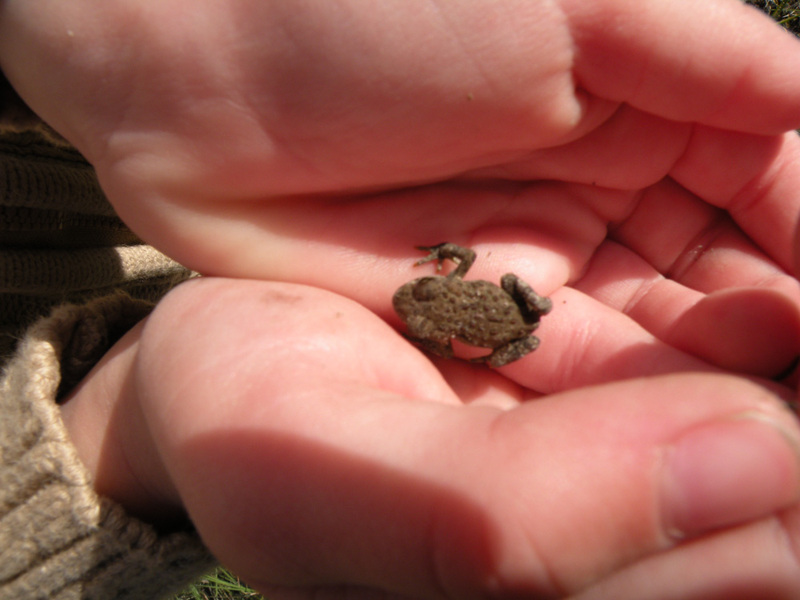 We had camped there a couple of years ago and our daughter Sydney had fun catching the frogs. She named one of the frogs “Jumpy” and tried to teach him to dance. It was a very funny sight. So now anytime we are in the area we must stop in and look for Jumpy the frog and to see if he had taught the other frogs to dance. We are always looking to try new hikes and we read about one that sounded like a good one to try. The hike to Tamanawas Falls is only 4 miles roundtrip and was said to be kid friendly; perfect for a quick afternoon hike. We invited my uncle Gar to join us and after he arrived to our campsite on his motorcycle we headed out to the eastside of Mt. Hood for our hike. We overlooked one little detail and forgot to pick up a $5 Northwest Forest Pass, something that would cost us a $100 fine if ticketed. Many trailheads elsewhere have pay stations, but not in the Mt. Hood National Forest. We feel it’s kind of dumb to charge people to access public lands. Isn’t that why we pay taxes? Fortunately, there was a campground a ¼ mile from the trailhead and our camping pass would allow us to park in the day use area for free. The trail meanders through a forested canyon along Cold Spring Creek and has several foot bridges. Sydney was a like a little mountain goat running ahead and leaping from rocks and logs and asking every dog owner that she passed if she could pet their dog. 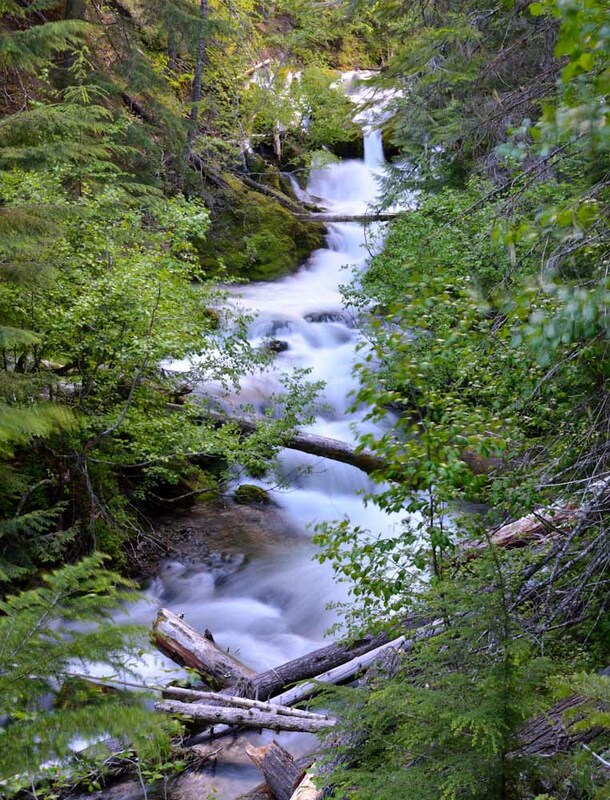 We stopped at several scenic spots along the trail to take photos and enjoy the sound of the forest and creek. When we reached the 100-foot high Tamanawas Falls we were impressed! Oregon has a lot of waterfalls and we have seen a lot of them, and this one was amazing. After our hike we returned to our campsite and cooked up the ultimate camp dinner; chili dogs! Gar had brought along his famous homemade macaroni salad and we had a good feast. Sydney made friends with the kids at the neighboring campsite and they invited her over for s’mores. She is social enough that there shouldn’t be a problem with her making new friends as we travel the world. We enjoyed the evening sitting next to the warm fire and wished we could stay a few more nights. On Sunday we packed up and made the quick journey home. It’s always nice to get out of the city and spend a few days in nature. Hopefully we will have the chance to do that a few more times before the summer ends. I have a confession to make; we have a problem with over packing. There are so many unknowns that could happen on a trip that sometimes it is best to be ready for everything, right? From sutures in our travel first aid kit to that one extra pair of nice pants… just in case. We think we are packing pretty light on most trips, but then most of the time we don’t even use or wear half the stuff we brought. Obviously, we’re not packing light. But with our upcoming 2-year around-the-world adventure that will have us experience all four seasons we might need to change the way we pack. Of course, having everything you own in just one bag is going to be a real challenge. Most of our vacations take us to places that have warm weather. Packing is so much easier when you know you will be wearing shorts, t-shirts, and sandals 95% of the time. Shorts and short sleeved shirts really don’t take up very much room in a bag and we never have to bring a big bulky warm jacket. Still, we always end up filling all the extra room in our bags with more shorts and short sleeved shirts than we need. For warm weather vacations we could probably get away with fitting everything we need in a small carry-on bag, but we don’t. During the winter we love taking ski trips. Of course, packing for cold weather trips always involve a lot more clothing than packing for warm weather. Besides our skis, ski poles, ski boots, hats, goggles, gloves, ski pants, and ski jackets we also need to bring warm clothes to wear. This leaves us with a mountain of clothing and gear and is always a challenge. But, we need to stay warm and not get frostbite, right? 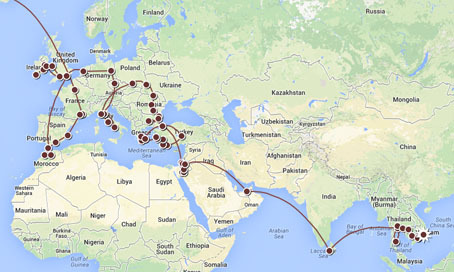 On our around-the-world trip we will be in Europe during the winter. We have discussed the possibility of going skiing in the French Alps but will probably need to rent gear as there is no way we will be hauling around our ski gear around the world. I really don’t think we will be using our skis much in Thailand! But the question on what cold weather clothing do we bring is a continuous topic. So how are we going to pack for 2-years and four seasons? Layers! Our bags will have limited space and so what we do bring needs to be multi-functional. A ski jacket is warm, but not very practical. But bringing a warm fleece or light down jacket and a lightweight waterproof shell is a smart combination. It can be very versatile for any type of weather, excluding a trip to Antarctica. We have also discovered the awesomeness of merino wool. Lightweight, warm, wicks moisture, and looks pretty snazzy when it is in the form of a sweater. So, what do you all think? Are we packing too much, too little, bringing the wrong stuff, right stuff, or are we clueless? UPDATE: After a year on the road and leaving a trail of clothing across the world, here is an UPDATED list.